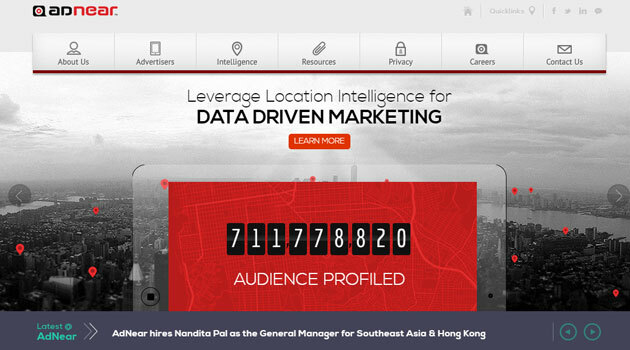 Bangalore and Singapore-based AdNear Pte Ltd, which helps brands reach out to audiences by analysing time-bound location data, has ventured into Europe by establishing a beachhead in London. The company has appointed Ken Parnham, former managing director of data privacy management company TrustE, as general manager of Europe. "I'm delighted to be charged with bringing AdNears's unique offering to European advertisers. AdNear empowers advertisers to take control of how they define their custom audiences, and leverages the scale of mobile to uncover real-time consumer insights and then apply them to offline attribution," Parnham said in a press statement. Parnham's mandate is to grow the business throughout the continent. His appointment is the latest in a series of recent additions to AdNear's leadership team. Recently, Cameron Curtis joined the company as general manger for Australia and New Zealand, and Nandita Pal came on board as general manager for South East Asia and Hong Kong. AdNear was founded by Anil Mathews, who is also the company's CEO, back in 2009. The company's advertising platform is built on a proprietary hybrid geo-location platform, which helps to provide location awareness on mobile phones without GPS or operator assistance. It serves clients in India, Singapore, Australia and other Asia-Pacific countries. AdNear leverages real geo-location, combined with consumer behaviour, to target relevant users within a geo-fence. All ads are displayed within mobile apps and they ensure further engagement as users can find their way to the advertised stores and use coupons among other things. Recently, the company had raised Series B funding of $19 million from Telstra Ventures, Global Brain, Sequoia Capital & JPM Private Equity Group. In November 2012, Adnear had raised Rs 35 crore ($6.3 million) in Series A funding from Sequoia Capital and Canaan Partners. The company claims to have profiled more than 700 million device users. Its clients include P&G, Audi, Unilever, BMW, Adidas, Ford, Samsung, and IKEA, as per the press statement. Companies such as TELiBrahma, SVG Media's display ad network Velocity, Vserv's AudiencePro, Komli Mobile and Nimbuzz are potential competitions for AdNear in India and overseas markets. In 2013, Adnear moved its headquarters to Singapore. AdNear Pte Ltd Sequoia Capital India Advisors Pvt. Ltd. Telstra India Pvt. Ltd.